retrofits Archives - Bob Irsay Irrigation Design, Inc.
Make your irrigation system more efficient with rotator nozzles and other “smart” upgrades. Check out the newest article on our “Industry News” page. The article talks about the growing importance of conserving water and the increasing popularity of irrigation retrofits that make existing sprinkler systems and sprinkler heads more water-efficient. 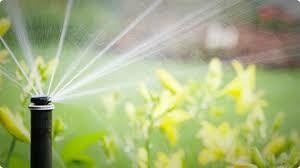 Call Bob Irsay Irrigation Design, Inc., one of the Palm Beaches’ best sprinkler companies, at (561) 734-3997 to learn about the different ways we help customers lower their water bills and irrigate their properties more efficiently. We use rotator nozzles, as referenced in the article, to improve the distribution uniformity (DU) of customers’ sprinkler systems and provide their lawns with higher precipitation rates. We also install “smart” controllers. Reduce how much water you consume and save money with “smart” irrigation upgrades and retrofits by Bob Irsay Irrigation Design, Inc. This entry was posted in Smart Irrigation Products, Water Conservation, West Palm Beach Sprinklers and tagged "Industry News" page, "smart" controllers, "smart" irrigation upgrades, (561) 734-3997, Bob Irsay Irrigation Design Inc., distribution uniformity, DU, growing importance of conserving water, help customers lower their water bills, higher precipitation rates, increasing popularity of irrigation retrofits, irrigate their properties more efficiently, more water-efficient, Palm Beaches' best sprinkler companies, reduce how much water you consume, retrofits, rotator nozzles, save money, sprinkler systems on 11/26/2014 by jason.